Household goods shippers do not move cars. We partner with household movers, so they have a resource for their customer’s vehicle transport. For example: A Construction company, Whiting-Turner successfully relocated their staff to Council Bluffs, Indiana to build a data center. 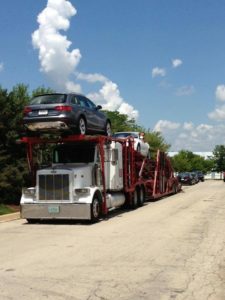 TOTALCAREtrans.com was awarded the contract to relocate all vehicles for upcoming Whiting Turner ventures saving them thousands on rental cars. Over the years we’ve gained the trust of countless retirees with dual residencies who need vehicle transport from Summer and Winter homes. These trips can cost a lot if you don’t have a trusted shipper with carrier relationships. These peak shipping times can be costly, and we plan so you get the best rates. We’ll arrange round trip packages with our carriers to level your cost without sacrificing speed and convenience.